If the lack of an automatic transmission in the WRX is a problem, take a look at the very good Twin-Clutch (TC-SST) paddle-shifter unit in the Mitsubishi Lancer Ralliart. The 2013 Subaru Impreza WRX and STI are fun to drive, tractable in a wide range of conditions, and surprisingly comfortable and versatile; but the lack of an automatic transmission and poor fuel economy are factors that might limit their appeal. The Subaru WRX and STI may look like siblings of the economical Impreza sedan and hatchback, but they're more than that. These juiced-up Subarus are the performance versions of the brand's compact cars, with turbocharged flat-four cylinder engines under the hood and excellent handling from their all-wheel drive. It's a magical combination, if you catch the drift--and catch it, regularly. Not only are the WRX and STI practically rally cars for the road, they're driveable sporty cars you can use even in snow, sleet, and any mixture in between from the worst-weather palette. If you're looking for a high-performance car, but live near the 38th parallel, chances are you don't even need to read any further. The WRX and STI models both carry over to 2013 in sedan and hatchback body styles with no significant styling changes versus last year. 2011 had been a big model year for these models; that's when the WRX got the wide-fender look that had been previously reserved for the top-performance STI. The WRX and STI remain divorced from the more pedestrian Impreza, which got a long list of changes last year that made those models more unanimously good-looking--albeit in a more mass-market kind of way. The down side of this separation is that the WRX and STI are left with interior trims and switchgear that now feel slightly behind-the-times. The two engines are only 40 hp apart, but they're tuned quite differently. The WRX is more tractable in all-round usage, while the STI is harder to drive smooth; it needs to be revved and driven hard to extract its potential. The 2013 Subaru WRX and STI models are offered in sedan and hatchback styles, and feature content is almost (but not quite) the same between body styles. The WRX comes in base, Premium, and Limited models, with navigation available at extra cost on Premium and Limited models. STI models come in base and Limited models, with navigation available on both. The STI hatchback is an exception; it's offered in a single trim. Top Limited models include a moonroof, fog lamps, heated power mirrors, a windshield-wiper de-icer, and heated leather seats. Not everyone will think that the 2013 Subaru WRX and STI are good-looking, but The 2012 Subaru WRX and STI won't be everyone's ideal sedan, but those that get the look will love it. The 2013 Subaru Impreza WRX and STI models both carry over in sedan and hatchback body styles with no significant styling changes versus last year. 2011 had been a big model year for these models; that's when the WRX got the wide-fender look that had been previously reserved for the top-performance STI. The WRX and STI remain divorced from the more pedestrian Impreza, which got a long list of changes last year that made those models more unanimously good-looking--albeit in a more mass-market kind of way. As for these performance models, they still definitely stand out, with their performance-look front-end aerodynamics, quad-tipped exhaust and, on sedan models of the STI, an available (and large) wing. We tend also to think that hatchback model wear this performance treatment a bit better, with a nicer stance, although Subaru did work to give sedans more 'pop' with the latest refresh. The 2013 Subaru WRX and STI are among the few satisfying performance cars that are also all-weather able. Simply put, the Subaru WRX is quick, while the STI is even quicker. But there are plenty of other differences in the STI that make it a worthy upgrade for focused enthusiasts. Both models share the same 2.5-liter displacement from an archetypal Subaru flat four-cylinder engine, but the STI's sharper tuning and Driver Controlled Center Differential (DCCD) extracts the most from the powertrain and the chassis. 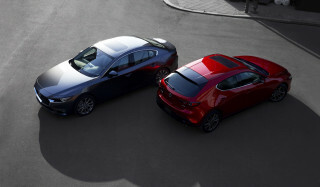 Between sedans and hatchbacks, all else the same, performance is equally rewarding. 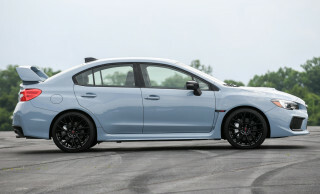 The tability control system in the STI also includes a "traction" mode, which continues brake use but eliminates throttle cut to improve performance. For the maximum in driver control, the system can be disabled completely. Larger Brembo brakes on the STI enhance stopping power and fade resistance, aided by the Super Sport ABS system, which helps to reduce understeer. You won't be constantly punished for choosing a performance car; design, layout, and functionality are very good, although materials could be better for the price. The 2013 Subaru WRX and STI are reasonably practical, considering their performance missions, and while they're not particularly roomy, they're just as usable as most compact sedans and hatchbacks. They're technically five-seaters, though larger adults will find reason to complain when there are three across in back. Standard sport-bolstered seats in either WRX or STI models are comfortable and supportive, but the optional Alcantara-surfaced Recaros available in the STI are a great upgrade, enhancing the cabin with a racier look and more comfort, too. Do keep in mind that these racing-style seats come with a fixed headrest that some testers have found uncomfortable. The 2013 WRX and STI haven't recently been crash-tested, but their excellent handling and all-wheel drive are safety assets. Technically, the WRX and STI are based on the Impreza; but for the 2013 model year (and last year, too), they're built on quite different versions of the same architecture and although it's likely that the Impreza's excellent safety ratings and Top Safety Pick status do carry over to these models, we can't officially do so. Neither the NHTSA (National Highway Traffic Safety Administration) nor the IIHS (Insurance Institute for Highway Safety) has crash-tested an STI or WRX in recent years. 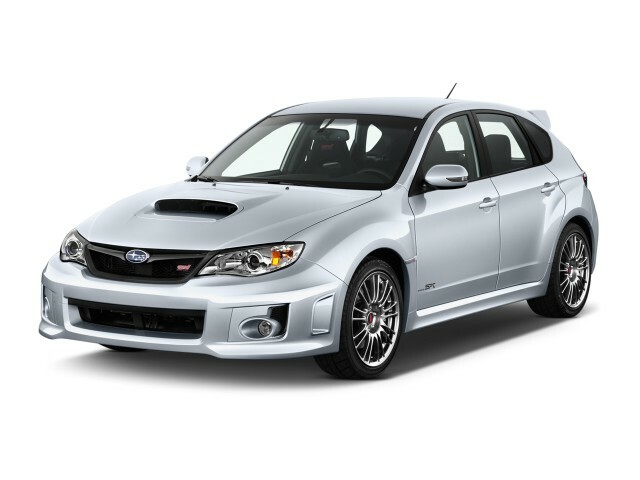 The 2013 WRX and STI are well-equipped touring cars with no shortage of tech or convenience features. The 2013 Subaru WRX and STI models are offered in sedan and hatchback styles, and feature content is almost (but not quite) the same between body styles. The WRX comes in base, Premium, and Limited models, with navigation available at extra cost on Premium and Limited models. STI models come in base and Limited models, with navigation available on both. 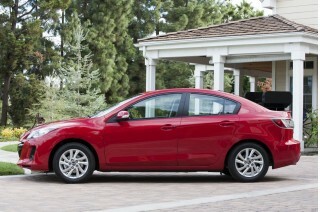 The STI hatchback is an exception; it's offered in a single trim. For the most part, times have changed and these models no longer feel like they're economy cars, dressed up with better performance and more features. Only with some continued feature improvements for the Impreza lineup for 2013, WRX and STI shoppers who are finicky about interior appointments may end up feeling like they get the short end of the stick. The 2013 Subaru WRX and STI might look small and economical, but they're not green at all. 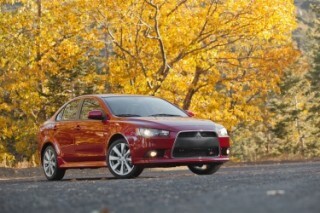 The 2013 Subaru WRX and STI have no shortage of performance, but they do disappoint with respect to gas mileage. The WRX's EPA ratings of 19/25 mpg city highway, for a combined rating of 21 mpg, aren't very impressive compared to newer models like the 2013 Ford Focus ST (32 mpg highway); admittedly, the Focus ST doesn't include all-wheel drive. It only gets worse in the STI, with a 17/23 mpg from the EPA, for a combined 19 mpg--cause even for some enthusiast buyers to raise their eyebrows. Interior needs upgraded, performance is top notch, high reliability, affordable fun. This is my second WRX - a Special Edition (Orange). It is great fun to drive. Before buying the WRX, I tried a BMW 1 Series, a Golf R, a Ford Focus and a Mazdaspeed. I bought this one because it seemed more... This is my second WRX - a Special Edition (Orange). It is great fun to drive. Before buying the WRX, I tried a BMW 1 Series, a Golf R, a Ford Focus and a Mazdaspeed. I bought this one because it seemed more elemental than the more refined BMW or VW (I couldn't really feel the clutch)and contained less of the mechanical stuff that Ford and Mazdaspeed use to compensate for their front wheel drive torque steer. The interior is a bit dated; the looks are a frumpy with the appearance of added-on fender flares; there is quite a lot of road noise (easily remedied by increasing the radio volume. But these are not issues to the WRX owner. The WRX owner knows what s/he is getting - a relatively disguised fast car. If you need a daily driver that is competent in the snow as well as good weather and do not want to spend a fortune, this is your car. If you occasionally feel the need for speed or the necessity to act like a hooligan, this is your car. If you have a family and need 4-doors but still need some fun driving, this is your car. If you need a daily driver that can be parked in a Wal-Mart parking lot, this is your car. As the number one ticketed car in the country, the WRX has quite a pedigree as a fast, daily driver. Ferraris and Porsches are faster but too expensive for daily driving in all kinds of weather. 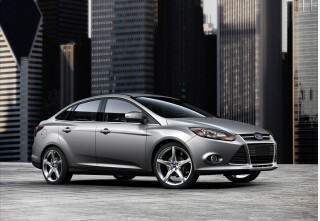 As far as all wheel drive performance at a value, this is the car to have! This is a special edition WRX. I have 50K miles on it. It is fast (no daily driver is ever fast enough), has great handling, and is cheap to drive. I drive it 600 miles per week and it keeps me from ever... This is a special edition WRX. I have 50K miles on it. It is fast (no daily driver is ever fast enough), has great handling, and is cheap to drive. I drive it 600 miles per week and it keeps me from ever getting bored. I have promised to give it to my son when he is 18 - five years from now - so I can get another WRX. My last WRX had 172,000 on the clock when I traded it for the new WRX. The dealer did not replace the water pump when they replaced the timing belt on my 2004. The didn't stand behind it when it went bad in 10,000 miles. But Subaru did! They sent me a check for $500. The only negative is that it is the number one ticketed car. WRX, great car... But not perfect.